As the industry grows there are more marijuana business opportunities than ever. These are best opportunities in the business with big profits. Are you lucky enough to live in a state or country in which marijuana is now legal? Legalization means there are now new and exciting marijuana business opportunities. Although it sounds simple, there’s actually more to the cannabis business than being a grower or seller. The legalization process is opening up a lot of exciting new possibilities. Here are 7 great ways to make money in this emerging new industry. The dust is still clearing on the legal side of the marijuana industry. This makes things complicated if you’re dealing with cannabis directly. So another way to get into the cannabis business is to make needed paraphernalia. Since legalization, there hasn’t only been demand for cannabis itself. There’s also a growing need for marijuana accessories. If you want to make or sell items like bongs, grinders, and pipes, you can probably do so without any legal red tape. Cannabis enthusiasts are prepared to spend a lot of money on the tools they need to use cannabis with. Quality glass bongs and electronic vaporizers can sell for hundreds of dollars at a time. Also, a lot of people who’ve never used cannabis before are now looking to get into it for the first time. They will be looking to buy all the accessories they can get their hands on. A shop selling cannabis accessories could be a very lucrative business opportunity in an area where the drug has been legalized. 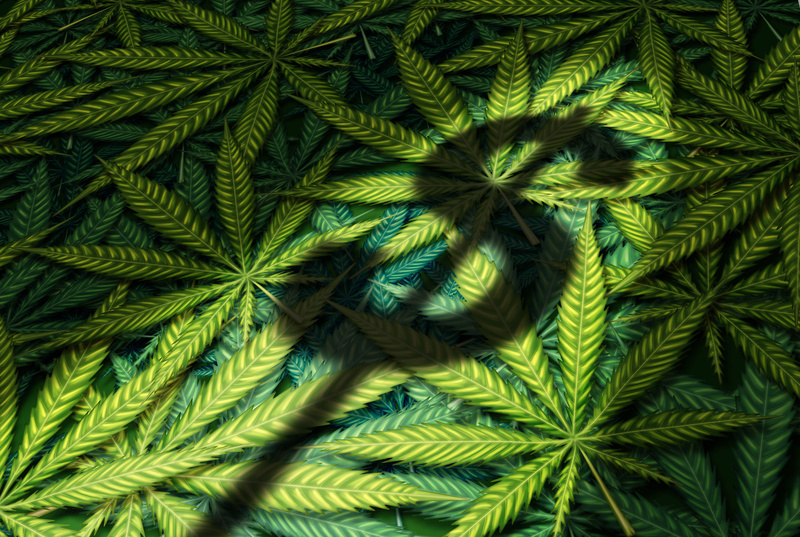 Many banks currently refuse to handle transactions associated with the cannabis business. This means that some marijuana dispensaries are handling huge amounts of cash on a daily basis. The law may change in the future, but at the moment, marijuana dispensers need high levels of security. In the cannabis business, there’s demand for services such as armored cars, video surveillance, and secure cash storage. Even when the law changes, the cannabis industry will still need security services. If the attitudes of the banks change, it won’t change the fact that the industry handles large amounts of cash. Check out NICI to see just how much the industry is growing. With so many people looking for marijuana business opportunities, there is a huge market for cannabis consulting. People who are opening cannabis businesses often need help and guidance to ensure they are on the right side of the law. If you are knowledgeable about the legal side of cannabis, your expertise is a sought-after commodity. With so many new business ideas arising out of legal cannabis, an expert cannabis consulting company could be highly profitable. But these ideas are something difficult to implement, due to a lack of knowledge. Knowing the law surrounding cannabis inside-out is a great skill to have in this emerging new business. If you have the right legal education and you have a genuine interest in cannabis law, you should consider getting into the marijuana consulting business. You’re probably aware of how popular wine painting classes have become. But have you heard of cannabis painting classes? Marijuana painting classes are basically the same as their wine-based counterparts. But instead of wine, participants partake in weed. Both cannabis and painting are a great way to unwind, plus relieve stress and anxiety. It makes a great combination. There are also many other activities you could combine with cannabis. For example, it would go great with yoga, meditation, or pottery. The possibilities are endless! Technology is essential in almost any industry, and the cannabis business is no different. Since the legal cannabis industry is so new, there is a lack of quality software available for businesses. “Industry standard” software has yet to emerge. This means that the cannabis industry is a great place to exercise your creativity as a software developer. If you’re skilled in coding, take a look at the demand within the cannabis industry. You’ll find there is no shortage of opportunity. The legal cannabis business has created a demand for a wide range of new events. Naturally, there is a huge appeal for music and culture festivals linked to cannabis. But the marijuana event industry goes so much deeper than that. There is also demand for trade shows and networking events. These sorts of events take a huge amount of planning and resources to set up. There is certainly a lot of money to be made running these events. Also, people are more inclined to supply cannabis in conjunction with or instead of alcohol at events such as weddings and birthday parties. Since cannabis has become legal, there’s been a significantly higher interest for quality edible products. Many people who are interested in marijuana are put off by smoking it for the effects. Edibles are a discreet and healthy way to consume cannabis. In Colorado, Oregon, and Washington, marijuana edibles make up around 12% of the cannabis market. If you’re skilled at cooking and baking, you could easily tap into this lucrative market. Edibles come in a huge variety of forms. You can make cookies, cakes, brownies, peanut butter, and many other treats. If you’re already good at making a certain food product, it is trivial to start adding cannabis to it. It’s possible to add marijuana to almost any kind of food you could think of. There’s currently a great demand for healthier variations of cannabis edibles, so think about tapping into that. You could make a lot of money on a gluten or sugar-free edible cannabis product. As you can see, there’s so much more to the cannabis industry than simply growing or selling cannabis. Nowadays, there is a huge demand for related services, such as marijuana paraphernalia and accessories. There’s also a great appetite for innovative cannabis-related events. It’s certainly an exciting time to be involved in the legal cannabis industry. Since the industry is in its infancy stages, there’s a huge amount of potential for innovation and creativity. Ready to get started with marijuana business opportunities? Check out our business blog section to get some tips!